Around 90 years ago, two radical saints had a thought: “Paka gadha Khanta na cada “. If we want to develop our motherland, then we must first start with our children. If we want to make our children good citizens of society and country then we must start with education. This great thought planted the seeds of imparting education to children by establishing an Ashram in a place called Songadh, which is at the foot-steps of a famous Jain Teerth– Palitana in Gujarat. This place is popularly known as SHRI MAHAVIR JAIN CHARITRA-KALYAN RATNASHRAM. Please visit us once to feel the difference which we have been bringing in the lives of thousands of students. Songadh ashram is a Jain institute and imparts quality education to Jain students without taking any fees. Day-to- day necessities and other essential things are provided to them free of cost. In this Ashram there is a modern English and Gujarati medium school wherein the students are taught with the help of E-Sense, which is a software in which audio is played and video is displayed on a projector. There is also one English Junior college in the campus. 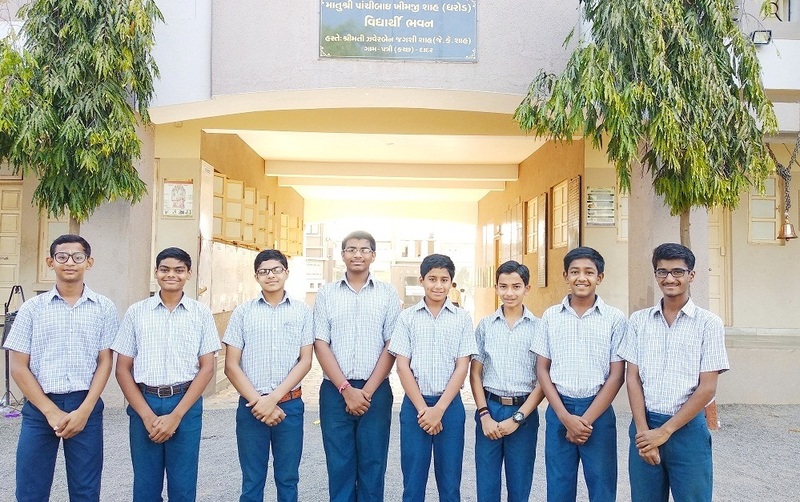 Talent is realized in the students by way of several co-curricular and extra-curricular activities which include: Elocution (speech), Drama, Music, Raas, Malakhamb, Yoga, Marshal arts, Computer, Drawing and Skill development. All these activities richly contribute to the overall development of the students. It is a remarkable fact that from 1923 to 2018, i.e. in a period of 96 years, over 4000 students have been imparted education by this institute. Many of the students are now successful and are at some of the distinguished posts in the society. Some are Chartered accountants, Engineers, or Doctors; some have exceled in sports; some of them are working in reputed institutes such as the NASA. We must call them twinkling stars of the world. All thanks to their Alma Mater – the Songadh Ashram.